Please Note: The 300 series of courses is advanced and challenging material that builds upon the courses in the 100 and 200 series. It is not advised to attempt these courses without first doing Course series 100 & 200. Each test is individually read and evaluated by our Facilitator, Barbara Turner, PhD. If Dr. Turner determines that test responses need more work, tests will be returned with suggestions for further reading, re-writing, and so on. Our objective is to develop understanding of Jungian Sandplay therapy. Just completing the test does not insure the issuance of the Certificate of Completion. The Learner must successfully pass the test to be granted credit. Course 301 begins our four-part series in the theoretical underpinnings of Jungian Sandplay therapy. In this first of a four-part series, the fundamental concepts of the psychic structures defined by C.G. Jung are introduced. This course explores the essential elements of the psychic structures and their application and function to the Sandplay process. Over the course of the four components of the Advanced Courses, the learner builds upon knowledge and hands-on experience of the benefits and application of Jungian theory in Sandplay. To introduce the structures of the psyche in Jungian personality theory in the play therapy modality of Sandplay. To explore the functions of the structures of the psyche in the play therapy modality of Sandplay. To develop understanding of the central function of the Self in the play therapy modality of Sandplay. To learn the function of the ego in the play therapy modality of Sandplay. To learn the function of the shadow the play therapy modality of Sandplay. To distinguish between consciousness, the domain of consciousness and the unconscious and their function in the play therapy modality of Sandplay. The explore the relationship between the conscious and unconscious in the play therapy modality of Sandplay. To examine how the structures interact to create a sense of identity in the play therapy modality of Sandplay. To develop understanding of the the ego-Self axis in the play therapy modality of Sandplay. To study how the structures of the psyche appear in the play therapy modality of Sandplay therapy. To develop understanding of how the application of Jungian personality theory to the play therapy modality of Sandplay work facilitates the therapist’s capacity to contain the psyche’s movement in silence. Identify the primary structures of the psyche using Jungian personality theory in the play therapy modality of Sandplay. Describe the function of the individual structures of the psyche in the play therapy modality of Sandplay. 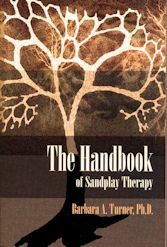 Explain the central function of the Self in the play therapy modality of Sandplay. Articulate the function of the ego in the play therapy modality of Sandplay. Describe the function of the shadow the play therapy modality of Sandplay. Distinguish between what is conscious and what is unconscious in the play therapy modality of Sandplay. Explain the relationship between what is conscious and what is unconscious in the play therapy modality of Sandplay. Articulate how the structures of the psyche work together to create a sense of identity in the play therapy modality of Sandplay. Describe the relationship of the ego and the Self in the play therapy modality of Sandplay. Identify the fundamental appearance of components of the ego structure in the play therapy modality of Sandplay. Explain the relationship between the conscious and unconscious aspects of the psyche in the play therapy modality of Sandplay. Describe how an understanding of Jung’s personality theory helps the therapist contain and facilitate the client’s work in the play therapy modality of Sandplay.